The editors of Anthropoliteia would like to welcome this review of Séverine Auteserre’s Peaceland: Conflict Resolution and the Everyday Politics of International Intervention. (Cambridge University Press, 2014) by Stephanie Hobbis. The review addresses two key issues in anthropology: need-centricity and the importance of local knowledge. International interventions are an increasingly ‘normal’ component of the international governance toolbox. Interveners’ motivations differ (from Afghanistan to South Sudan to Solomon Islands) but they frequently share comparable immediate goals: bringing ‘peace’ (often translated as ‘law and order’ following the Western liberal example) to areas that have experienced extended periods of protracted conflict. To this end a new professional class has emerged. As police-builders, policy advisers, auditors or human rights advocates its members spend around six months to two years in a conflict zone before moving on to another with similar thematic requirements. This skill-focused mobility, so Séverine Autesserre, has created a distinct transnational community whose members inhabit their own “metaphorical world” (6) that stands apart from the contexts (and locales) interventions take place in: Peaceland. While critiques of international interventions abound, especially of their liberal orientations and their often limited concern for local particularities and knowledges, Peaceland itself has received only scant attention. Its nuts and bolts, “the interveners… their customs, rituals, cultures, structures, beliefs, and behaviours” (6) are regularly overlooked. Autesserre’s volume starts filling this gap through a multi-sited ethnography of Peaceland with a focus on the Democratic Republic of Congo (DRC) and a more short-term ethnographic (as researcher) and professional (as intervener) engagement with eight additional intervention zones (Afghanistan, Burundi, Cyprus, Israel and the Palestinian Territories, Kosovo, Nicaragua, South Sudan, Timor-Leste). She moves beyond the limitations of ideological considerations (are interventions (too) liberal?) and subsequent discussions that address the potential dangers of (over-)romanticizing the local. Also she does not focus on the pros and cons of external involvement in conflicts (despite her at times harsh critique she maintains that international interventions make significant contributions to ‘peace’ that local actors alone would be unlikely to achieve); and she does not simply chastise those living in Peaceland (herself and her husband included). Instead Autesserre offers an honest and sobering analysis of the everyday, local, international, private and professional challenges that interveners face, and the routine answers they have developed in response. She looks at the structures that “shape people’s beliefs and behaviors” (40) but also at interveners’ engagements with these structures and the impact their choices have on the persistence of significant power asymmetries between interveners (skill-based/ thematic knowledge) and locals (context-based knowledge). At the core of her argumentation lies a critique of how thematic professionalism and the accompanying careerism – “you need to change missions otherwise it creates problems for your career” (81) – often prevent a more engaged involvement with context-dependent particularities and especially so with the experiences of local populations and their perceptions of the intervening force. In evaluations of their ‘job performance’ interveners are, above all (and at times only), accountable to their employers: the external agencies that participate in the intervention, be it the United Nations, a foreign government or non-governmental organization. As a result interveners narratives and behaviours are outwards-focused in their strategy implementation and reporting (mission-design- rather than needs-centric), outcome assessments (quantifiable, short-term) and networking (career-conscious). The (actual) needs of local populations are pushed to the sidelines and so are everyday interactions between interveners and locals, both on professional and personal levels. In this context-deprived environment Autesserre finds interveners’ engagement with conflict to be inefficient, ineffective and at times even counterproductive. Reliant on dominant narratives interveners have, for example, treated ongoing violence in the DRC as primarily derived from resource conflicts while sexual abuse has been identified as its worst effect and state-building as its only solution. Yet, on the ground minerals (and their exploitation) are only considered to be one of many sources of violence; a focus on sexual violence is said to have diverted resources from victims of other forms of violence while triggering a spike in sexual abuse as rebel leaders recognized its value as (international) bargaining tool; and a state-centric perspective is viewed as inhibiting more creative (grassroots) responses to a conflict that has also been sustained by a predatory state. In such simplified understandings of conflicts Autesserre further suggests that interveners’ risk perceptions become exaggerated as well. To manage perceived security threats interveners ‘bunkerize’ (219) in their professional operations (translate: isolate from local communities and rarely move outside of urban centers) and create separate social (personal) spaces that are fueled by often significant income disparities between themselves and locals. To draw from my own experiences in Solomon Islands: Who but externally paid personnel can (regularly) afford to dine at a restaurant that offers a meal for the same (or a higher) price than the annual primary school fees for a child (at least in rural areas)? ; and how can adequate responses be developed if interveners have little to no exposure to a primarily rural population that is dispersed across hundreds of islands that interveners can, following their self-imposed security measures, never visit? Autesserre does, however, believe that not all hope is lost. Peaceland can be transformed, boundaries torn down and in turn the effectiveness of interventions significantly improved: (1) acknowledge the existence of Peaceland (and the habits and structures it maintains); (2) increase the value of context-based knowledge, not by rejecting thematic skill-sets but by creating a better balance between the two (this also means planning for the long- rather than the short-term); (3) identify new ways to encourage participation of local communities and partners in peace-building operations, also by recruiting local experts rather than external advisers unless the position is likely to attract ‘corrupt’ practices (curiously she does not use this word); and (4) tear down professional (security) and social barriers between expatriates and locals, for example, by removing of bans that prohibit interveners from socializing with locals after work (this is currently often as a threat to interveners’ proclaimed neutrality). The question that remains unaddressed is how to build the trust between interveners and locals that allows for these suggestions to be implemented in practice. Autesserre herself acknowledges that she feels more insecure when she is part of an intervention force than when she is at the same location, during a comparable situation, as researcher or visitor – and even though she is aware of this disconnect. She also highlights the core problem many interveners face: how do you identify local partners that are not in more powerful positions (and therefore more likely to engage with interveners) because they benefited from, or even participated in, the conflict that pre-dated (or continues during) the intervention? On the other side, how can local communities develop more equal relationships with interveners when their presence is often seen as a reflection of local ineptitude (lack of capacity/ skills to solve the conflict), by locals and interveners alike? Answers to these questions may push too far beyond the scope of Autesserre’s Peaceland, which is, after all, focused on uncovering the challenges posed to effective intervention; yet, without a better understanding of the complex relationships and the emotional insecurities they foster I remain sceptical about how realistic her suggestions are. For instance, at first sight there seems to be validity in the proposition to allow spouses and children to accompany interveners (if the security situation allows it) to increase their commitment to the host country and their involvement with it (e.g. through children’s school friends). Solomon Islands fits this (security) requirement (at least the capital city, Honiara) and many inhabitants of Peaceland have been joined by their families over years. However, especially family members from outside Peaceland appear less willing to adjust to the lower status of living that engagement with local populations requires, and in turn even more expat-dominated restaurants and even shopping areas have been built. In Solomon Islands Peaceland seems, today, to be even more secluded, and the more visible the differences between expatriate and local lives have become, the more resentful are locals about the presence of interveners in general. This critique notwithstanding (and really it is only meant as food for thought) Peaceland should be a wake-up call to anyone who lives in this world (even if it is only bi-curiously, as many anthropologists are). Possibly the most shocking conclusion from Peaceland is how novel Autesserre’ approach and argumentation are in the context of existing discourses on international interventions. It appears that in between the many frequently political science-based critiques of (liberal) intervention policies and anthropological responses elaborating on local experiences with interventions, the everyday lives of interveners have been lost. Perhaps this is not as surprising after all. With a limited ethnographic toolbox many political scientists (Autesserre left aside) may shy away from such analysis and with an at times excessive focus on the local, anthropologists often distance themselves from the expatriates inhabiting their field sites (advice I was given myself as I headed to Solomon Islands for my research on local participation in and perceptions of intervention-based state-building). Autesserre’s courage for wandering outside her discipline’s comfort-zone (though ethnographic approaches seems to be on the rise) is noteworthy, and perhaps it is time for more anthropologists to do the same to develop a more comprehensive understanding of intervener’s relations with local populations, and the role of everyday habits and rituals therein. Stephanie Hobbis is a PhD candidate in Social and Cultural Analysis at Concordia University (Montreal) and in Social Anthropology and Ethnology at École des hautes études en sciences sociales (EHESS, Paris). Her doctoral research looks at state-, peace-, and nation-building in contemporary, post-colonial, post-intervention, and post-conflict Solomon Islands with a focus on urban-rural comparison. It is the habit of anthropologists not to cave under the pressure of mainstream discourse. Here at Anthropoliteia we particularly like to think of the anthropology of policing and security as a critical mode of thought that addresses central issues in society. The attack on Charlie Hebdo obviously belongs to that category. 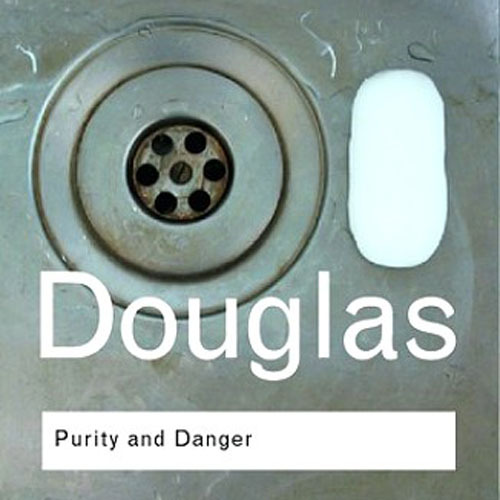 I would like to make a short statement to intervene in the debate about this horrible event by revisiting Mary Douglas’ Purity and Danger. 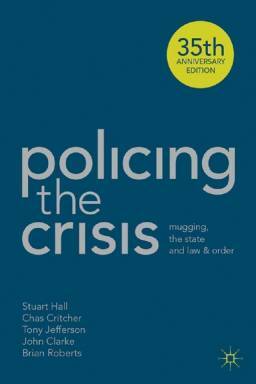 At this point, the study ‘Policing the Crisis: Mugging, the State, and Law and Order’ first published roughly 35 years ago, begins its ever-widening exploration: from crime statistics to the police, from the media to the courts, from the state and the core beliefs of British society to the advent of Thatcherism. The kaleidoscopic nature of the book evokes associations with the HBO television series The Wire, where each season navigates a different institutional aspect of Baltimore’s social troubles: the black ghetto drugs economy, the dwindling labour market, the police and the city government, the school system and the media. In so doing, The Wire acts out a core insight of Policing the Crisis, namely that crime cannot be seen independently from the institutions that aim to control and report on it. Agencies such as the police, the courts and the media do not passively react to a given crime situation, they ‘are actively and continuously part of the whole process’ (p54). The book and the television series also share an ability to explain these complex matters in clear and accessible language. Even though a lot has changed in criminology – consider contemporary trends such as the rise of target culture and risk management – there is still much in this book that is relevant in understanding contemporary developments. At the end of this article, I will shortly aim to illustrate that by looking at the uproar concerning Moroccan immigrant youth in the Netherlands. The anxiety in the UK surrounding mugging in the early seventies is an instance of a moral panic. While mugging is in no way a ‘new strain of crime’, the label ‘mugging’ with its American provenance, imposes a new meaning on events. The term mugging was first used in the British press to describe street crime as part of the growing social tensions in the US. Mugging mobilized a series of linked frames: the race conflict, the urban crisis, rising crime rates, the breakdown of law and order, the liberal conspiracy, the white backlash. It formed a significant aspect of the Republican appeal to the ‘silent majority’ in the run up to the presidential victory of Nixon in 1968. When the term was transplanted to the UK context, it allowed violent robbery to be seen through the prism of the urban and political crisis in the United States. 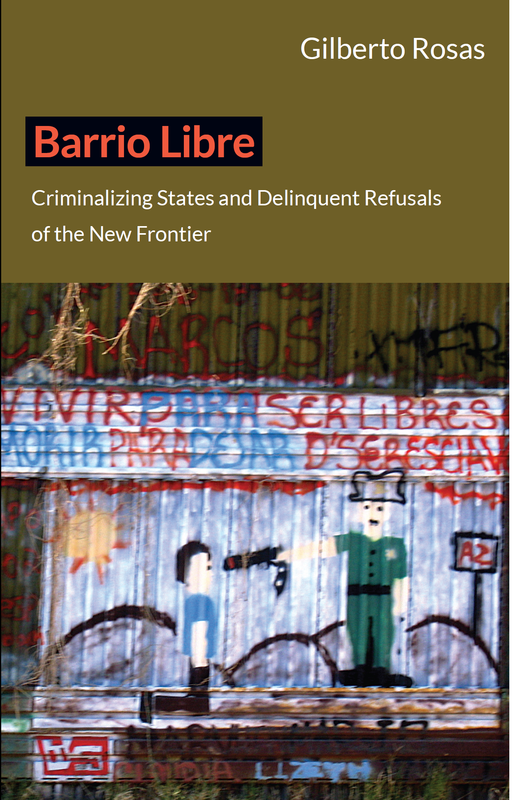 Policing the crisis is careful to highlight the multifaceted and interdependent nature of the institutional response to crime. Some months before the first ‘mugging’ cases were dealt with in court and the issue of mugging came to be defined by judges and the media as a pressing social issue, already a ‘major mobilization of police resources, attention and energies had taken place’. The confrontation between police and black youth in British urban neighborhoods predated the mugging panic, and formed its precondition. The police, the courts and the media do not simply respond to crime and moral panics, they are an integral part of the construction process. These institutions get to decide which issues get highlighted, how crime statistics are interpreted, where police resources are allocated, and how they are given meaning in relation to the wider societal context. Which is not to say that institutions are completely in control of the dynamic, as in the end all of them are ‘acting out a script they do not write’. The remainder of the book is devoted to the exploration of the connection between the moral panic and the crisis in British politics, which led to the emergence of the British New Right. As crime is in effect a ‘dramatized symbolic reassertion of the values of society’, it tends to lend itself to a conservative politics of restoration of authority. The majority of the arguments developed in Policing the Crisis could easily be transposed to the current Dutch context. Since the emergence of a right wing backlash in 2002 (Oudenampsen 2013), crime and safety issues have become one of the principle fault lines of Dutch politics. Problems with criminal Moroccan youth have developed into what can properly be called a moral panic: they are seen as a ‘threat to societal values and interests’; and the issue is presented in ‘a stylized and stereo-typical fashion by the mass media’. In April 2013, Dutch parliament officially held a Marokkanendebat (debate concerning Moroccans) and things still haven’t quieted down. In Policing the Crisis, crime statistics are said to appear as hard fact, but to factually serve an ideological function: ‘they appear to ground free floating and controversial impressions in the hard incontrovertible soil of numbers.’ The political nature of crime statistics is due to the relative status of these numbers: they refer only to reported crime, police sensitization and mobilization increase the numbers that both police and the public report, public anxiety leads to over-reporting, and changes in the law make comparisons over time difficult. This is particularly apt for the Netherlands, where overrepresentation of Moroccan youth in crime statistics has led to a public appeal for ‘less Moroccans’ by the right-wing populist PVV party this year. What seems to be very similar to the British moral panic around mugging is that crime and safety became central political issues in the Netherlands at a time when crime was actually decreasing palpably, according to official statistics. The reference point for mugging was the urban crisis in the US. In the case of Moroccan youth, a different and more complex series of frames have been mobilized. There is the frame of 9/11 and political Islam that has been constructed by Fortuyn, Wilders and Hirsi Ali. Moroccan youth have been branded ‘street terrorists’, their actions explained as part of the aggressive takeover of Europe by Muslim immigrants. There is the frame of culturalism popularized by Paul Scheffer. In this frame, the problems of Moroccan youth are seen as originating from their cultural background, and their difficulty and hostility in dealing with Western modernity. In this framework, problems with Moroccan youth should primarily be solved by the Moroccan community itself. The degree of consistency and organization of that community is highly overestimated. And finally there is a broader frame of the failure of multiculturalism and progressive values leading to the need for a reassertion of core Dutch values, which are interpreted in more conservative ways than before. Maybe the most fundamental insight of Policing the Crisis is that crime is at the very centre of national identity: ‘It allows all good men and true to stand up and be counted – at least metaphorically – in the defense of normality, stability and “our way of life”.’ In the UK, at the very core of the traditionalist view of crime, it is argued, lies a vision of Englishness, that binds together a particular set of images and themes that are deep-rooted: respectability, work, (self)-discipline, authority, the neighborhood and the law. Crime is an experience that touches upon the material reality of everyday life, and it plays a fundamental role in forming immaterial representations of how life ought to be lived. Of course that is a classic sociological insight. Crime, Emile Durkheim argued in 1893, is a feature all societies have in common. This is so because crime serves a vital social function. Crime ‘brings together upright consciences and concentrates them.’ Through the punishment of deviants and offenders, the moral boundaries of a community are established and reaffirmed. It is that very quality that lends crime its political appeal and mobilizing force.